Summit Point is located six miles north of Marsh Harbour and 12 miles south of Treasure Cay. 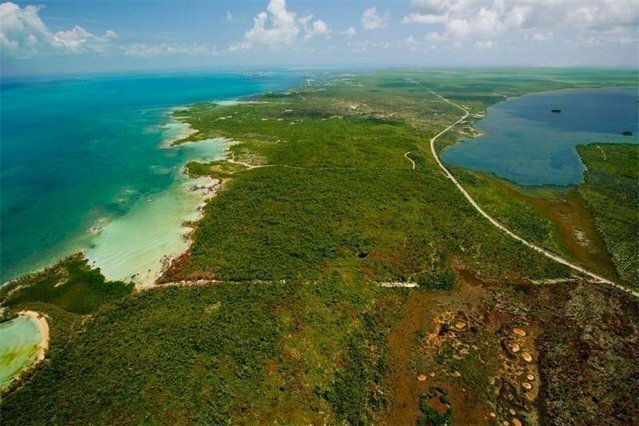 This one-of-a-kind 277-acre tract is situated on one of the highest points in Abaco with elevations reaching 120 feet. It also occupies one of the narrowest points of the island, with spectacular 360-degree views. The property’s extensive beach frontage includes 4,000 feet on the Sea of Abaco, plus 2,000 feet of shoreline on Bustick Bight Bay. Summit Point has been master-planned as a mixed-use residential and commercial development, including a boutique hotel and marina. The depth of water along the coastline and large amount of yachting traffic that frequents the area provides viable potential for a marina component and a cost analysis has been performed. Utilities (cable, electricity and water) are available in very close proximity along the Great Abaco Highway, which runs parallel to the property.